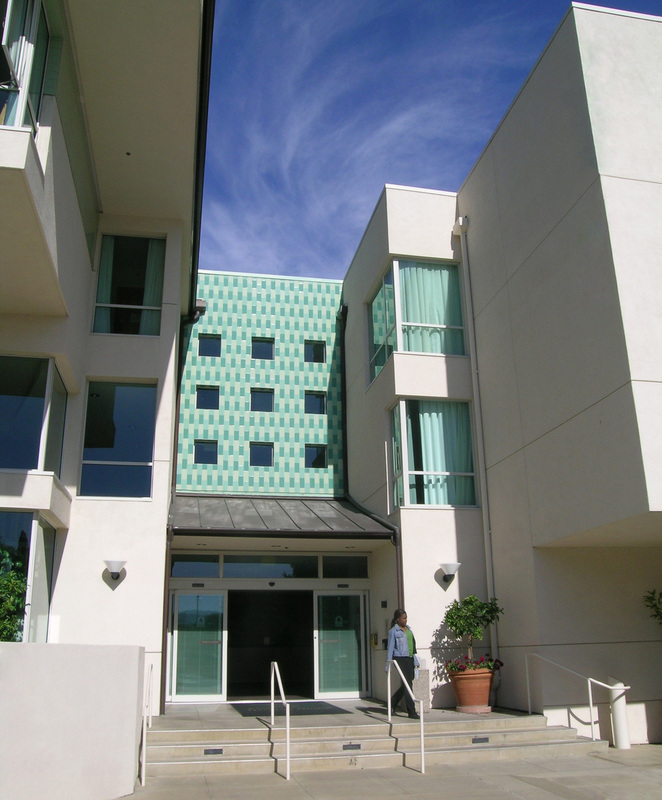 The UCLA Tiverton Guest House consists of 100 rooms of hotel-style accommodations designed to meet the needs of guests of the University, and family members of patients of the Ronald Reagan UCLA Medical Center. The complex also includes lounge/dining areas, a commercial kitchen, a landscaped courtyard garden and outdoor sitting area, a fitness facility, playroom and lobby. Guest rooms range from studios equipped with kitchenettes, to standard rooms with two double beds and suites. The Guest House was originally designed in the 1980’s in a distinctive contemporary architectural context, and is located directly across from the southern edge of the University’s campus. The renovation of the Guest House included the modernization of the existing structures and spaces, as well as the addition of new architectural elements with the intent of resolving pre-existing building performance issues. Scope elements also included seismic, accessibility and roof upgrades. The successful relationship between the complex’s structures, interior courtyard, public lobby and exterior design utilized glazing systems to introduce ample natural light in the public areas and guest rooms. The interior and exterior spaces were merged to the extent that a sense of community and privacy can be experienced.